Which mobile network is best and fast?? Hi, everyone welcomes to tamilviews get new updates of this website by subscribe or give allow button. Let's go to the subject!! 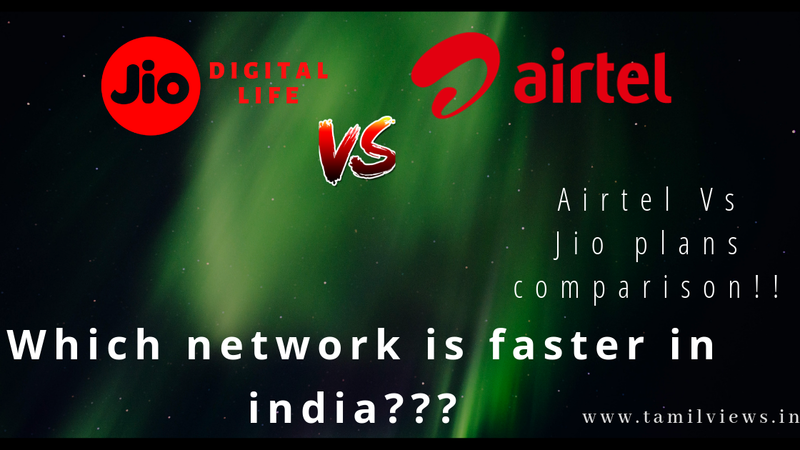 What is the best network provider is best and fast in India, yes there is any kind of network company available in India. Top 2 most people engaged company is Jio and Airtel. 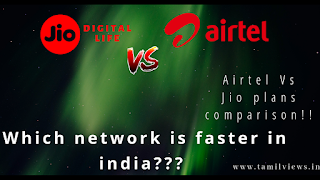 Some network also available in India such as Idea, Vodaphone, Uninor, DoCoMo reliance etc. Jio is a new formed company launched in 2015. Before launching jio airtel network is the topmost customer used the network with high paid tariff plans. 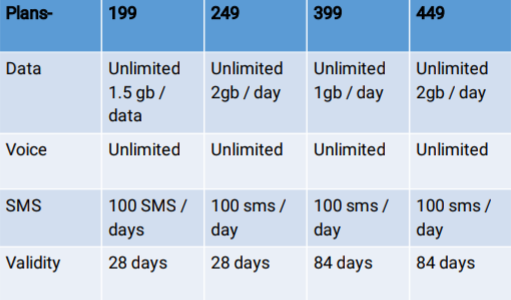 After jio launched, jio breaks all old paid tariff plans of airtel by introducing a new free tariff plan like 149 free data and calls for 1 month and 399 for all unlimited for 84 days. 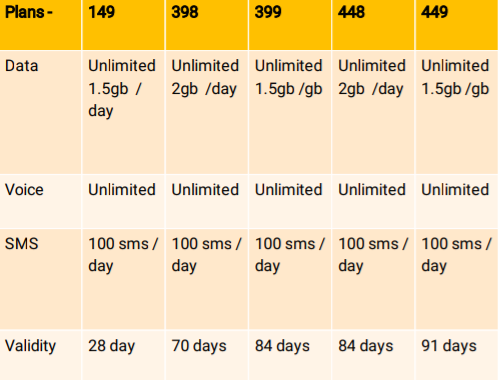 Comparison of speed and tariff between Airtel and Jio !! 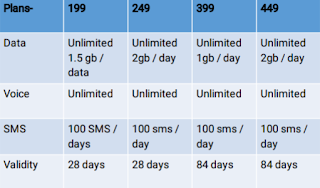 Airtel provides Fast data service to all their users the same as jio also. But the network speed is not based on the network provider company. It is based upon the network courage on your area. If your area has more network courage you will get fast network without any buffering problem. Some times the jio network will be faster sometimes airtel network is also faster so I can't tell you approximately. In airtel network, the base special recharge pack cost is too high, for example, jio prime plan of 149 rs 1.5gb data + voice price in airtel network is Rs 199. If you use jio you can save 50 rs instantly!! And many more to get like free additional data and coupons in your my jio apps. In Airtel, there are no caller tune facilities because they charge extra money for caller tune pack. In jio, you can set and change unlimited caller tune in a single tap by jio music. Jio planned to change his jio apps to fully loaded features and cool designing etc. And he gives 83 days of the free trial for all jio users in Jio saavan app. If your airtel plan is expired then you can't call or use data or send messages to anyone your sim will be going to die. In jio after expire of your plan, you can call to any jio users for some limited periods and use data up-to 64kbps. If you are in an emergency you have jio means you will be Survive. Jio is well planed to give best services to his customers. Airtel has the largest customer care but not gives to all Service. Users are unable to navigate the contact the technical support team officer. In Jio, you can chat live with a technical support team by 24×7 service. They offered many ways to contact help centers and they assigned many physical service center near your locations. In jio, there is a lot of apps with a free plan for prime subscribers such as my jio app, jio saavan, jio movies, jio newspaper, jio voice call, jio live tv, jio security, jio cloud, Jio HD video call, jio mags, jio wallet, and New jio browser etc. In Airtel, there is wynk music, airtel live tv, Airtel payment bank, my airtel app etc. It didn't have more quality service than jio apps. It has paid subscription only. Comment:- airtel gonna close his company because of effect of jio. Bharathi Airtel is going to loss! !